Can help relieve back pain and Increases the flexibility of the spine. 1) From Knees, Chest & Chin position, release the tops of the feet to the floor and press them down. 2) Slide your chest forward and up keeping your hands where they were. 3) Roll your shoulders back and lift the chest higher, keeping the low ribs on the floor. 4) Keep your neck in neutral, don’t crank it back. Engaging the legs and press them down, this will help you bring your chest higher. Chest high, bring the palms off of the floor. 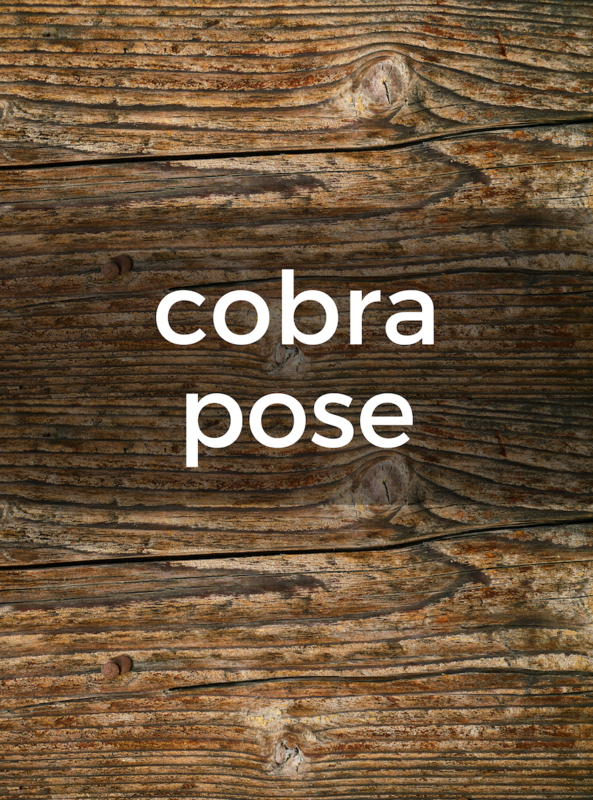 Or keep the palms on the floor and start to straighten the arms for a more intense backbend.